Legal Online Gambling is an accessible and viable option for players who lack land based gambling opportunities within a reasonable proximity, or who simply are looking for an online option for the convenience. There are some legitimate gambling sites that accept USA players and offer a high quality and secure Internet gaming experience. These sites are accessible via your computer or mobile device, and are available 24/7. What many players do not realize is that even if gambling is not legally permitted in a specific state via land based casinos or poker rooms, legal online gambling sites are still an option. There is some confusion surrounding the legality of US friendly online gambling, and this guide is designed to eliminate any uncertainty so that players can feel confident that they are making informed decisions using the most current and accurate information concerning the online gambling industry and how it relates to American players. United States online gambling is a growing market and now boasts both state regulated and legitimate offshore destinations. This page will provide more insight into your legal options and into relevant US federal gambling laws. Is Legal Online Gambling Available For USA Players? Yes, there are online gambling sites that welcome US players that are completely legal. Each of the gambling sites you see featured below have been thoroughly vetted to ensure that they hold legitimate licensing and compliance certifications in their respective jurisdictions, allowing them to legally operate an online gambling site for real money. There are not any US federal gambling laws that prohibit Americans from engaging in legally sanctioned online gambling, and Washington is the only state in the US that has legally banned all forms of online gambling, including offshore. What Is The UIGEA Bill Of 2006 And How Does It Affect American Players? Some players are under the impression that the UIGEA 2006 bill makes it illegal for American players to participate in online gambling. This is not the case. That piece of legislation was put in place to regulate how online gambling transactions are processed, and was designed to protect players and their investment. The gambling sites that were targeted in the DOJ investigation known as Black Friday were targeted due to suspicion that they were not adhering to this law. The investigation did not target or punish any players, and all gamblers eventually were given access to the funds in their accounts. The only real affect that the law had on players is that some gambling brands and payment methods chose not to jump through the regulatory hoops required by the legislation, and instead left the US market, hence slightly reducing selection for players in the United States. We have already seen many brands re-enter the market, and there is a nice selection of legal online gambling sites that welcome US players. Are There Any Other US Gambling Laws That Make Online Gambling Illegal In The United States? There are two additional US gambling laws that affect the industry, but only one really affects online gambling. The Professional and Amateur Sports Protection Act, also known as PASPA prohibits US based sports betting businesses from operating anywhere in the US with the exception of four specific states: Nevada, Oregon, Montana and Delaware. Of those four states, only Nevada provides full blown sportsbook gambling options. The Federal Wire Act effectively outlaws any US based online sportsbooks from operating on US soil. Neither of these laws makes it a crime to visit or gamble at legitimately licensed and regulated offshore gambling sites. Is Legal Online Gambling Safe? You probably agree that the question of legality is important, but does not cover all bases. There are plenty of things in life that are legal, but that are not safe. If you are selective in your choices regarding where you play, then yes, online gambling is safe. As we mentioned before, we have an extensive vetting process for each of the brands we list in our guide. We already covered the licensing verification process, which is the first part of determining the safety factor of any legal online gambling site. The subsequent parts of the equation focus on a brand’s security profile and quality. For a site to be included in our guide, we require advanced SSL connectivity and highly sophisticated data encryption technology. We also insist on effective firewall protections, fraud prevention and specially trained technical teams to monitor these processes. These components combined can effectively protect your personal financial information, and are the very protocols that are in place at banks and credit card companies. We do not consider for inclusion in our guide gambling sites that only employ industry standard security measures simply to meet licensing requirements. We want the brands we recommend to exceed industry standards and noticeably go above and beyond in their commitment to protecting players. That is what makes any particular online gambling site safe. What Is The Current Status Of US Based Legal Online Gambling? Nevada was the first to legalize online gambling at a state level and currently allows state regulated online poker entertainment. Residents have access to online poker sites that have been licensed by the state. Delaware and New Jersey have legalized state regulated online poker and casino gambling, so residents of these states can access casino games online such as slots, blackjack, video poker, roulette, keno, live dealer games and more, as well as online poker games. Initially each state only allowed players that were physically located within their own borders to access their gambling entertainment. However, all three of these states have entered into interstate gambling compacts that support the sharing of player pools. Therefore players in Delaware can also play casino games in New Jersey or poker games in Nevada. While state level gambling legalization is a move in the right direction, it does have its limitations. For example, the states that legalize online gambling are only making it accessible to their residents, hence players in states that are not interested in this type of legislation are out of luck when it comes to U.S.A. based online gambling. We recommend that those players access the US friendly legal gambling sites featured in the table above. They have each been vetted by our professional team of gambling aficionados, and are guaranteed to be safe and reliable. 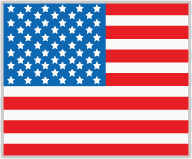 Legal online gambling that is based outside of the U.S. is legally accessible for all United States players. The following pages below offer information on how you can gamble online legally in each specific state.